Water damage in your home or business is no joke. When a loss is discovered, it is best to act fast. Calling a business that specializes in water damage, water removal and remediation is key. When calling a professional service like ServiceMaster of Columbia, our staff will ask you a few questions to help us best assess your need over the phone. These are just a few that should be asked by any professional. Once on the seen, our trained technicians will access the damage. They will look at the category and class of the damage. Assessing the severity of the damage is important for determining what is needed to start water damage repair and water removal. Category 1 = clean water, or water that does not pose a threat to humans. Possible causes of this type of damage include broken appliances or sink overflows. Category 2 = gray water. This means that the water is contaminated and may cause sickness of ingested. This type of water contains microorganisms. Broken toilets, broken sump pumps, and seepage may cause category 2 water damage. Category 3 = black water. This type of water is unsanitary, as it contains bacteria and other organisms that cause sickness. The possible sources of black water damage include sewage problems and contamination of standing water. The class of damage is important when assessing water damage repair options. Class 1 is the least harmful form of damage. Materials absorb very little of the water from this type of damage. 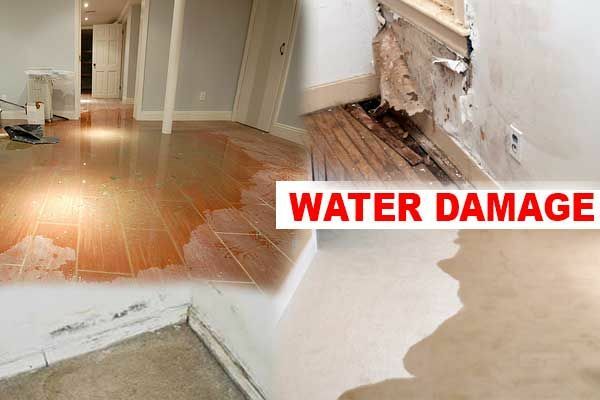 Water damage repair is the easiest in this type of situation. Class 2 has a fast rate of evaporation, which means that carpets and cushions may be damaged. Water damage repair is more difficult when it involves class 2 damage. Class 3 has the fastest rate of evaporation. In this case, the water may come from broken sprinklers or other overhead sources, soaking the walls and furniture. Class 4 requires special water restoration and water removal procedures. This type of damage may affect hardwood floors, plaster, and concrete. If you experience or your business experiences a water loss or water damage, call us first, ServiceMaster of Columbia is the leading water removal and restoration company in the business, dedicated to protecting your biggest investment. Call us at 573.443.8383.